If you are highly empathic and a brilliant listener, a career in counselling may be for you. The terms counsellor and psychotherapist are often used interchangeably. 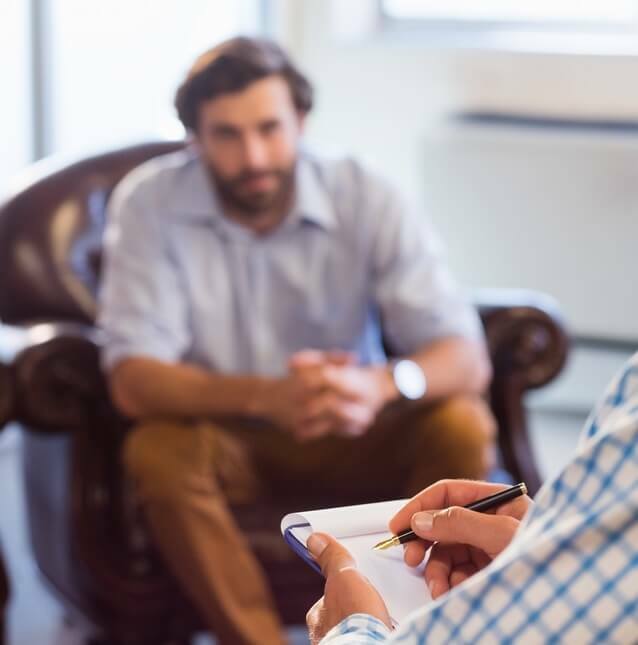 In the UK there is no legal distinction between a counsellor and a psychotherapist other than experience – a qualified psychotherapist trains for four years, a counsellor trains for two or three years depending on the course. Generally speaking, however, a psychotherapist works with a client long-term and the therapy focuses on self-exploration and the root causes of personal and emotional challenges as well as the current issues a counsellor examines. What are the responsibilities of a counsellor? What are the key skills required by a counsellor? What qualifications does a counsellor require? You do not need a degree in order to become a counsellor and can enter training at a variety of different stages depending on your intellectual background and experience in other areas. Once you have completed your fourth year of training (the Advanced Diploma) you will be a qualified psychotherapist. At this point, if you wish to become a private practitioner, you need to achieve BACP accreditation. The process of accreditation is time consuming and requires academic achievements including essays focused on personal development and client relationships, as well as a lot of administrative tasks such as compiling the details of clients over the past several years of work. Once BACP accredited, a counsellor can complete additional training to become a supervisor themselves. Not only is this a mark of distinction among therapists, it is also a good source of income. If your work involves those aged under 18 or vulnerable adults, you will also need to undergo DBS checks as is the case with any professional employed in such a sector. Do I need relevant work experience to become a counsellor? Any experience in counselling or therapy prior to acceptance onto a counselling course is hugely desirable, but not necessary. In order to qualify as a counsellor you will need a minimum of 100 hours in a supervised placement. What are the prospects and salary for a counsellor? A counsellor’s salary varies widely and will be based on qualifications and experience. An entry level salary is around £23,000. Generally without training to become a full psychotherapist, it is difficult to earn more than this. More experienced psychotherapists who have undergone accreditation can expect a larger salary and supervisors may earn as much as £40,000. Highly trained specialists with years of experience can charge as much as £90 per hour. If you have a grounding in academia you may also be able to combine your clinical work with lecturing or other types of university teaching. Many well-known psychotherapists are also researchers and writers. For me at the core of being a counsellor is the rich experience of learning about what it means to be human. Day in and day out I have the privilege of being with people in their suffering, in their love, in their hope and in the intricate depth of their stories. In this landscape I am constantly finding myself grateful and in awe of the human spirit and all it’s ways. Is the role of a counsellor right for me? Once accredited you can specialise in any area of therapy that you choose, from bereavement to eating disorders to prison psychotherapy. Therapists are not confined to their own area of practice either – a psychodynamically trained therapist can learn CBT or person-centered techniques to broaden their professional skill set and attract more clients. It’s paperwork heavy. If you’re working as a freelancer you will have to keep up with the admin and tax work related to that along with the large amounts of client-related admin you will already be managing.